Manufacture of cotton and polyester mix. There are different colors to choose from. If you want more information, please contact us. 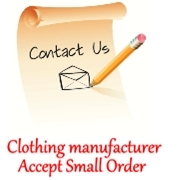 Askwear is a powerful clothes supplier in China.